Natural drug has been an indispensable part of world pharmacology. Discovering various physiological activities and drug lead compounds from natural drugs and ethno-pharmacology plays a critical role in R&D of new drug with independent intellectual property right. Development of new natural drugs on basis of elucidating activity components of traditional drugs is the current trend. KIB has already constructed a talents' team for R&D of new drugs with independent intellectual property rights, which consists of experts mainly from the State Key Laboratory of Phytochemistry and Plant Resources in West China, and from other departments as well. New drugs under clinical trials: clinical trials of anti-HIV/AIDS drug, SH capsule have been completed in Thailand (transferred); clinical trials (phase III) of the new drug against cardio-cerebral vascular diseases, Denzhanxixin injection and clinical trials (phase I) of the new drug against presenile dementia, phenchlobenpyrrone have been completed, respectively. Approvals for clinical trials of cepharanthine hydrochloride and cepharanthine hydrochloride injection have been obtained. New drugs with completion of preclinical studies include anti-HIV/ AIDS drug, Qishile capsule, Emei-glucoside capsule against gynecology hemostasis, hypoglycemic drug, CA-1 and cough-reliving drug, dengtaiye. 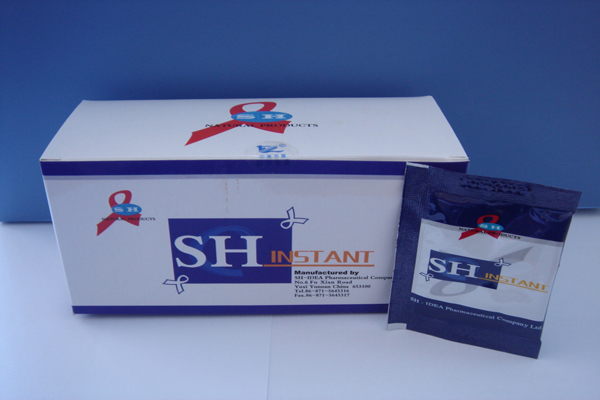 Drugs under clinical trials include: anti-HIV/AIDS candidate drug, schizandrin and Flazin, anti-leukaemia candidate drug, diterpenoids, anti-depression candidate drug, CXZ-123, lipase inhibitor, vibralactone, antitumor candidate drugs, GC-51, actaea asiatica and sesquiterpene from Inula britannica, etc.